I’m sitting in the LA airport right now, just a few hours away from boarding a plane to Shanghai, China. Never in my wildest dreams did I think the words “I’m moving to China” would ever escape my mouth. But they did. 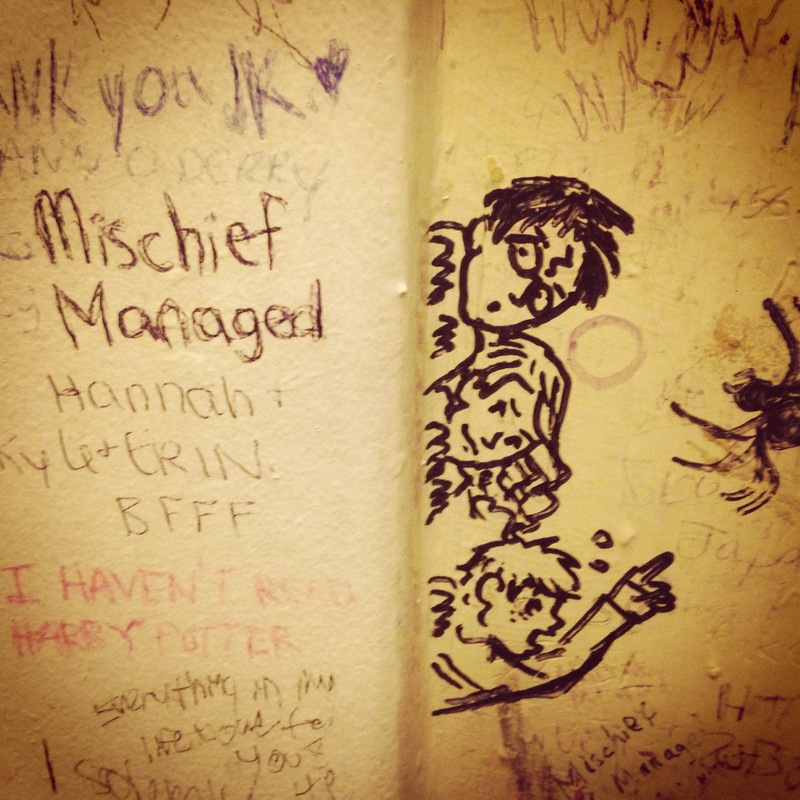 Three months ago, in fact. I’ve been hired by Disney English to teach English to little ones in Shanghai and I couldn’t be more excited! Two years ago, I lived in Spain for the summer and was hoping to return after a visit back to California…but things didn’t work out the way I wanted. Little did I know that the then supposed road of disappointment would actually be leading me to Disney…to Shanghai, all along. 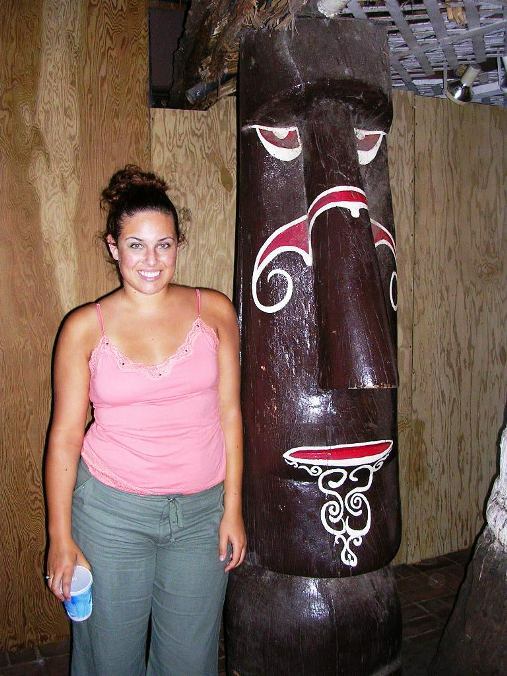 Nine years ago, I became a certified TESOL/TESL teacher, meaning I can teach English as a second language–globally. When I was young and just starting to teach, I had dreams of teaching abroad someday and actually did consider China, Japan, or South Korea. But something held me back, and I took other roads. I only used my certificate in a local capacity while teaching English to foreigners. Looking back now, I realize that I wouldn’t have been ready for that the way I am now. Now, I have nine years of formal teaching under my belt. I’ve been in education for twelve years, and I actually started tutoring/teaching English as a second language when I was seventeen. So…almost fifteen years, really, of teaching English. Does everyone need that kind of experience to teach English to non-native speakers? No, but it helps. It certainly has helped me and has made me confident in my teaching abilities. What’s funny/ironic is that a few years ago, I was burned out from teaching. Honestly, at least in America, it can be a pretty thankless job, especially in the private sector. So I took a break. I started writing and editing; I picked up clients while freelancing, I traveled to Europe to kind of reset, and I began asking myself what I really wanted out of life. And, no matter what I did, the one common theme was that I really wanted more adventure. I wanted to experience more in my life and continue to travel–but I also wanted to have an impact on people. What better way to do all that than go to a foreign country and equip people by teaching them English, the number one international language? And more importantly, Disney?! Hell yeah! There’s no question about that. Disney is one of the best companies in the world, and let me just say that they are taking really great care of me. I can see how all the twists and turns I’ve taken have led me to this very moment. To Disney. To Shanghai. To my future. It’s exciting and it’s humbling. So, what’s next in this adventure? Well, I will arrive tomorrow in Shanghai and plan on going to dinner with some of my new coworkers. I plan on learning Mandarin and soaking up every part of Chinese culture I can. I am their guest and as such, I am going with the perspective that I need to be respectful at all times and make the effort to learn everything I can. Not just because it will make my transition easier–I mean, I AM freaking MOVING to China!! !–but because that’s what a good guest does; they learn about their host and what the rules of the house are so that they will be invited back. Looking far forward, will China become my permanent home? I don’t know, but I do know that I’m open to it, certainly. I love my native state of California, but do you know how expensive it is? Especially as a single person? I’m not a computer engineer, and I haven’t met a billionaire to date/marry (yet, lol), so I need to live somewhere I can afford and not be scraping by all the time. I definitely plan to continue to write once I become more accustomed to my new home, but I’ve decided to take a break for a few months from freelancing and editing. I need to focus completely on my new job and my students and do my very best. I need to be totally present as my life changes in a huge way. I will be blogging here about my travels and will FOR SURE post pictures. So, stay tuned and look for my updates. It’s just barely starting to sink in that I’m actually doing this and will be gone a LONG time…maybe even longer. But I’m very excited for this opportunity and feel blessed that this door opened for me. Well, folks, until next time! Wish me luck! I’ve got a 14-hour flight before I hit the ground again. For the next two weeks, I’m creating my own sort of writer’s retreat, up in the boons of Northern California with my grandmother. I’ve got WiFi (which is on a limited GB plan! ), but we were on dial-up up here just a few years ago. No joke. On Wednesday, my most exciting event was finding a dead raccoon and a (live) frolicking deer while taking the dog for a walk to the mailbox, which is down the street. I’ve been here for a week already, however, feeling more relaxed than I have since I got back from Spain a few months ago. The most convenient part about my little retreat is that I have been able to focus on very important projects, including NaNoWriMo2014. I have never written so much in such a short time. Woot! Having time to ourselves to work on projects and reflect about things in our lives is very important. Therefore, I’d like to touch briefly on the importance of vacation–whether it’s a day of reflection or a week (or more) away from everything. 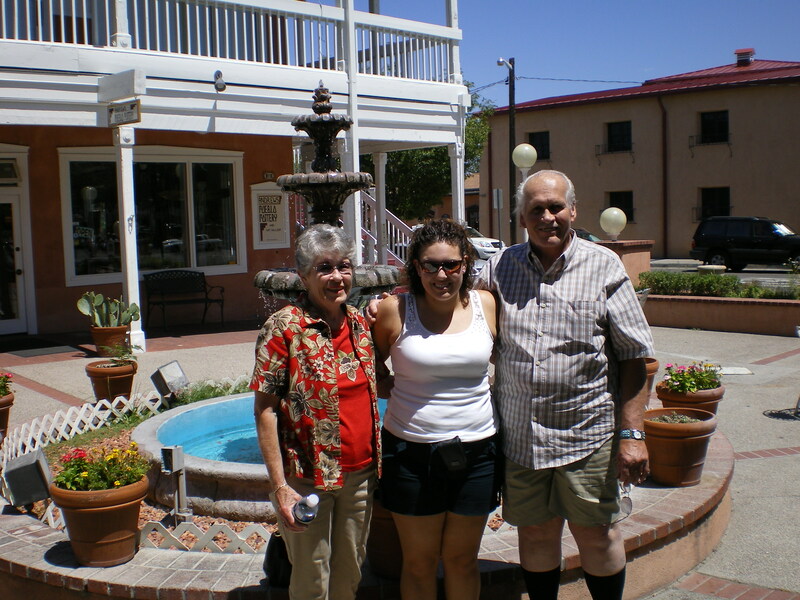 Albuquerque, New Mexico in 2007 with my grandparents. When I was 21, I had worked for 3 years straight with NO vacation. I thought I could conquer the world while working full-time, and going to school full-time. I worked 7 days a week (for the most part) and nearly collapsed from doing waaaayyyyy too much. 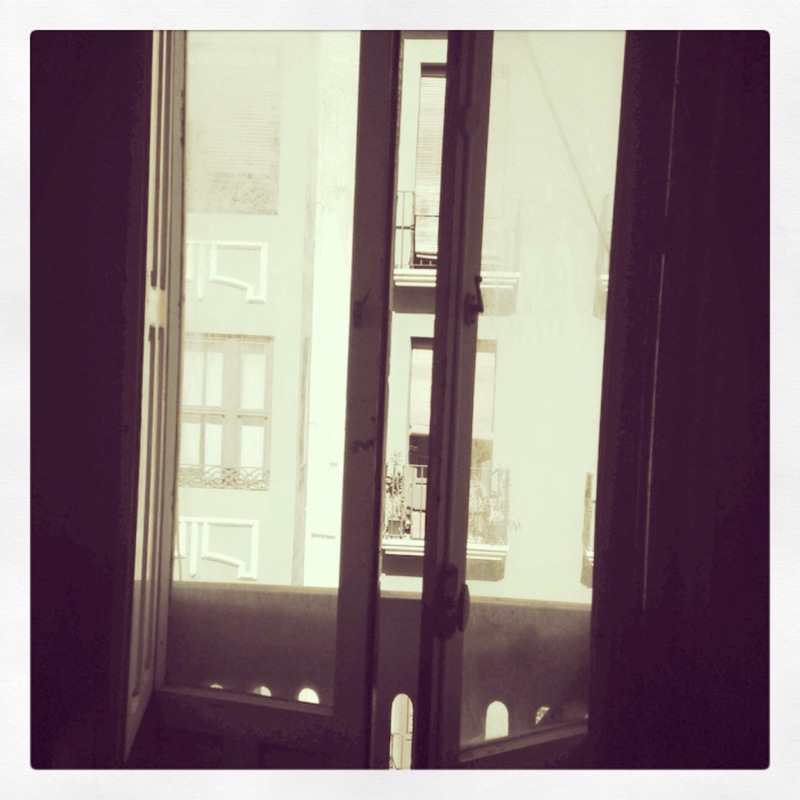 Then I had a wake-up call when I finally took a vacation. 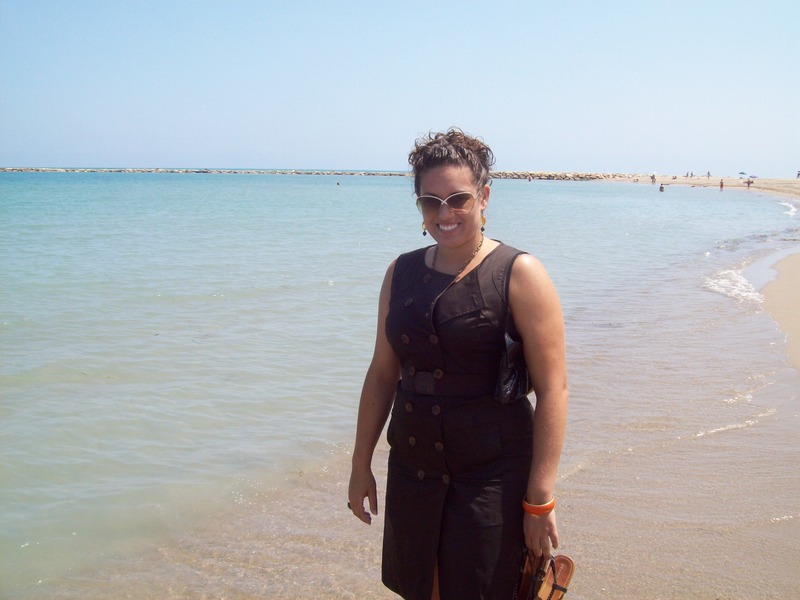 Me in Campello, Spain in 2008–a life-changing vacation. One of my best friends was getting married in Hawaii and I didn’t want to miss the wedding. I booked a flight and hotel for both my sister and I, and decided we’d make the trip a full 8-day vacation. It was glorious. I had nearly forgotten how wonderful it was to relax and do next to nothing. I came alive again. And I realized that I hated working so much and needed to make a big change in my life. 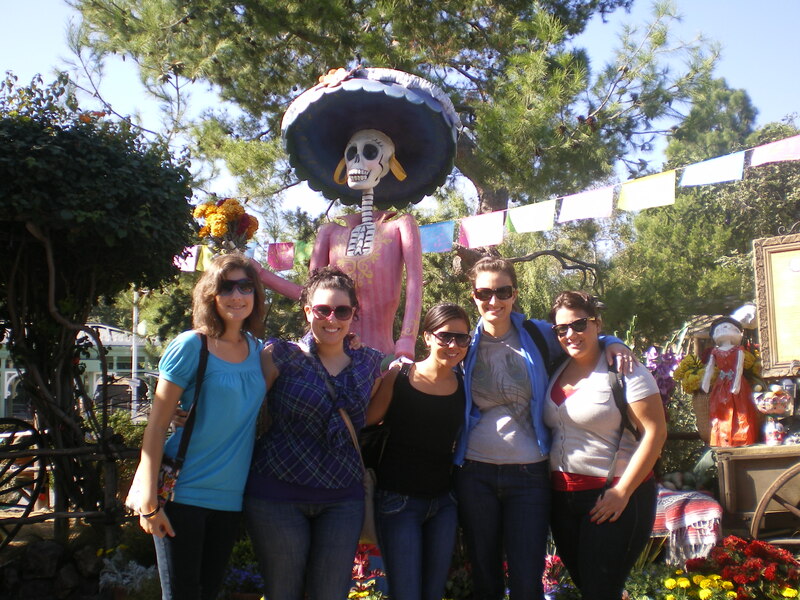 Girls’ trip to Disneyland (CA) for Halloween 2009. 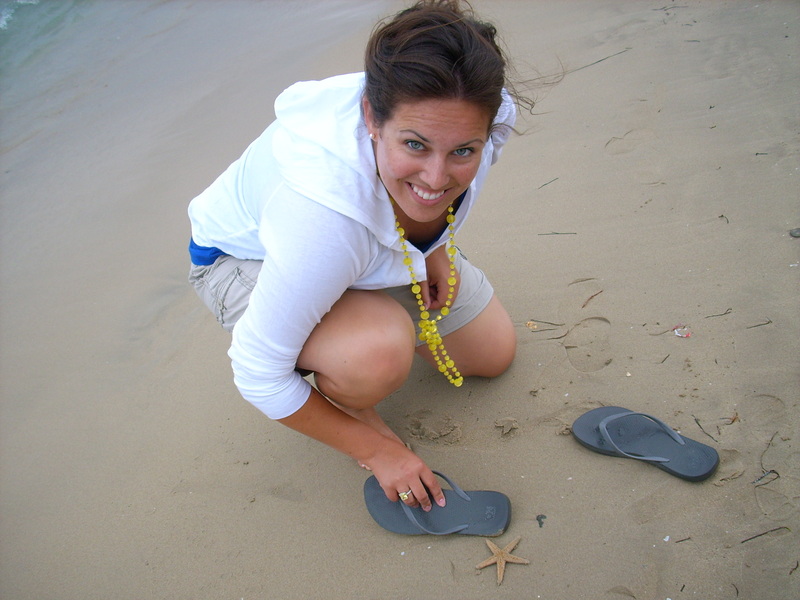 A few months after that vacation, I quit my job and pursued other career paths. I was so happy and wondered what had taken me so long to make the change. Then I remembered that my vacation had triggered my desire for change, and that’s when I understood how important vacation is. Had I not taken that trip, who knows how long it would have taken for me to realize that I needed to make a drastic turnaround? 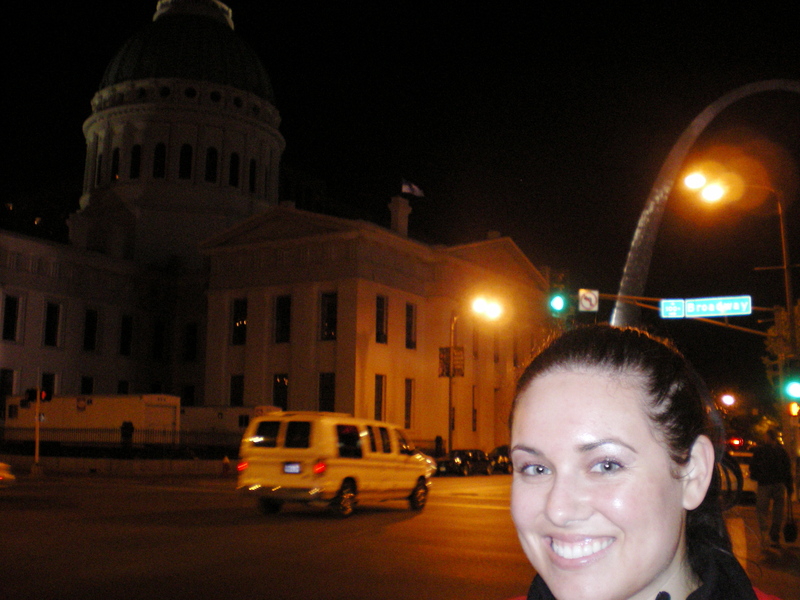 St. Louis, Missouri in 2010. Famous arch in the background. Vacation–or even reflection days–can bring clarity that the day-to-day grind can’t. It brings us to a different place physically (sometimes) and mentally (almost always) because we are removed from the norm. When we fail to take time for ourselves to reflect, get away from “it all,” and evaluate our current work/life situation, we do ourselves a disservice. We are more likely to fall into unhealthy habits all around, and wonder why we feel dissatisfied or stuck. 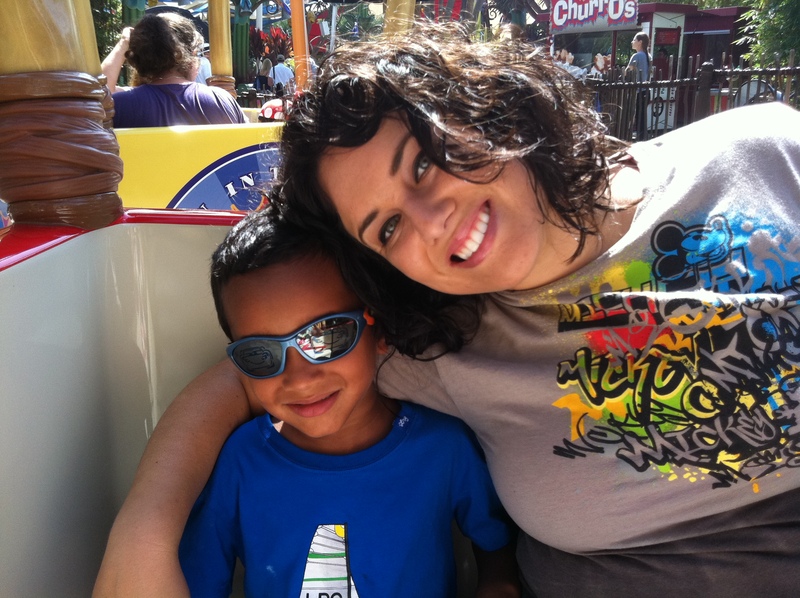 My nephew and me in Disneyland (CA) for my baby sister’s Sweet 16 in 2011. Vacation doesn’t have to be something expensive or burdensome. It can be a day set aside once a month, or every other month, in order to disconnect from all our devices and e-mail, and become centered. It can be a day where our sole purpose is to journal and project the future of our business or career–or even plan our next novel. It’s a day where we ask ourselves: Am I where I want to be? 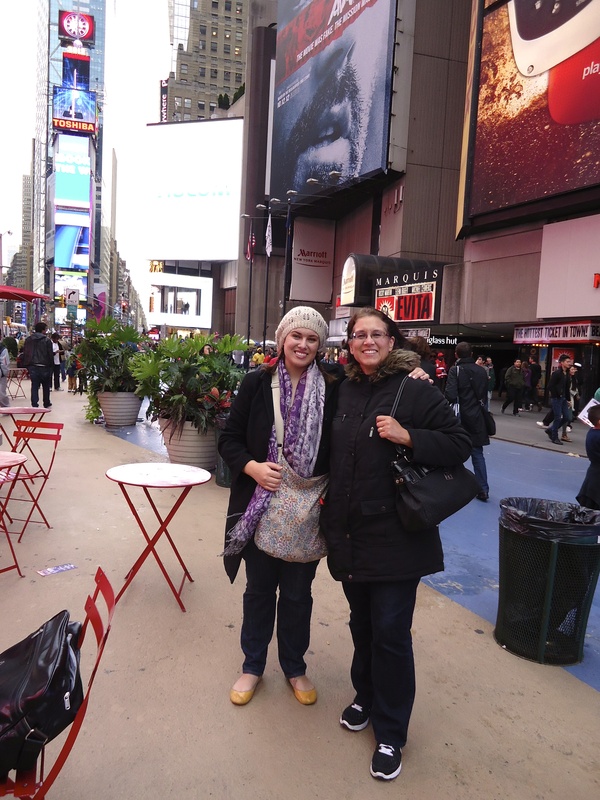 With my mom in Times Square, New York in 2012. And, if the answer is “no,” then we can use the remainder of our away time to come up with a way to answer “yes” in the near future. 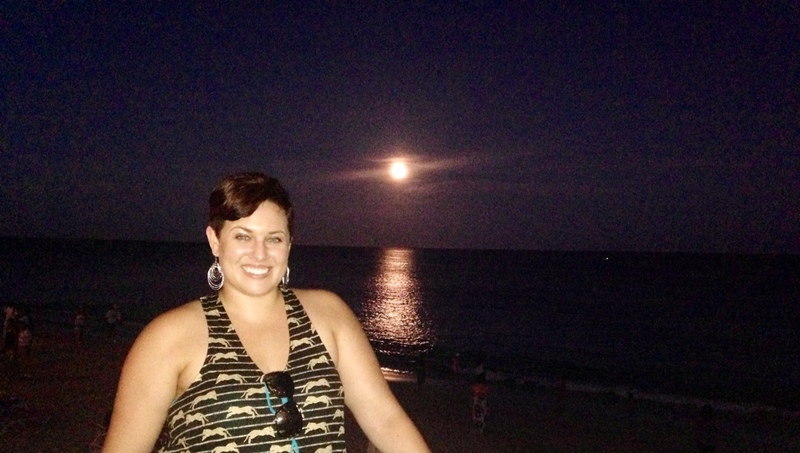 Me, basking in the Cabo San Lucas, Mexico moonlight in 2013. I would like to note that an annual getaway does amazing things for our perspective on life. For myself, I come back from vacation with a new vision for my business and writing endeavors, and I just feel rested and ready for the next chapter of my life. I’m a nicer person when I come back from vacation, and that’s always a good thing. Being happier and more relaxed means that I’m a healthier person who can run a healthy business. I’ve made it a rule to travel somewhere at least once a year since that trip to Hawaii nearly a decade ago, and I’ve been blessed enough to keep that rule. 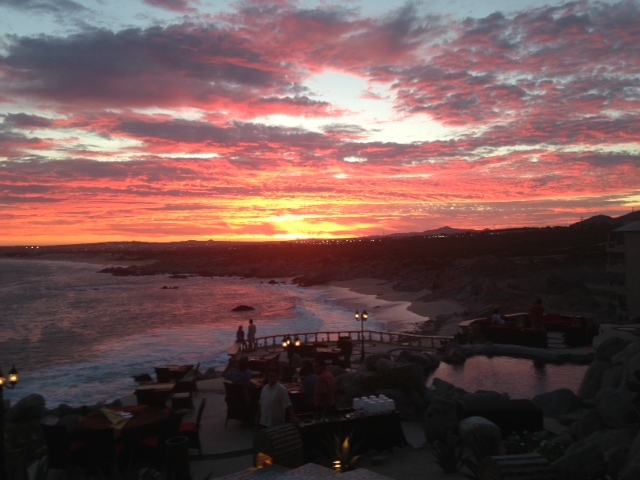 Gorgeous sunset at the Mona Lisa restaurant in Cabo San Lucas, Mexico. If vacation is not an option for you in the near future, set aside some reflection days–national holidays are a good start. And, if the thought of vacation stresses you out…um…you should probably take a vacation. 🙂 Grab a piña colada and take some time for yourself. Cheers! It’s 1pm on a Wednesday afternoon, and I’ve finally managed to get out of the house. I walk down a few blocks, past the supermarket, and past the park, and hang a left on Calle San Francisco. My intention is to make good on a two-week-old promise: to go to Canada Cupcake Cafe and interview the owners of the shop. It’ll be a sacrifice to drink good coffee and eat a cupcake, but hey, I’m used to hard work. Thankfully, Arthur—one of the owners—remembers me when I enter. I order an iced latte and a really yummy chocolate ganache cupcake that I eat (in total) before I can remember to take a picture. When Arthur has a minute, he comes to sit with me and has his own cup of coffee. His partner, Shawn, is sitting close by and helps out any straggling customers before the shop closes for siesta time. I do a quick recap for Arthur—I’m a writer from California, I’m living in Spain for the summer, and I love interviewing people and making new connections. Then, I get straight to the questions. “How long have you been doing this?” I ask him. Arthur tells me that he and Shawn opened CCC last August. They’re just getting ready to celebrate the shop’s one-year anniversary, and are still in the process of putting something together to show appreciation for loyal customers and draw in new clientele. Like any “new and/or newer” business, there are loyal customers, newbies (like me! ), a healthy rotation of students—especially Americans, and tourists. 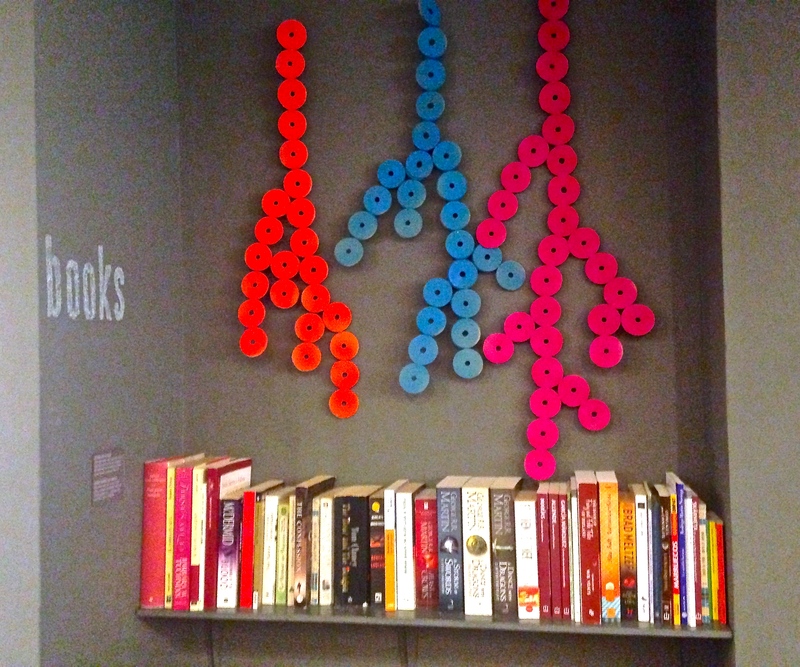 CCC offers a relaxing atmosphere, custom coffee, fresh desserts and bagels, and free WiFi. 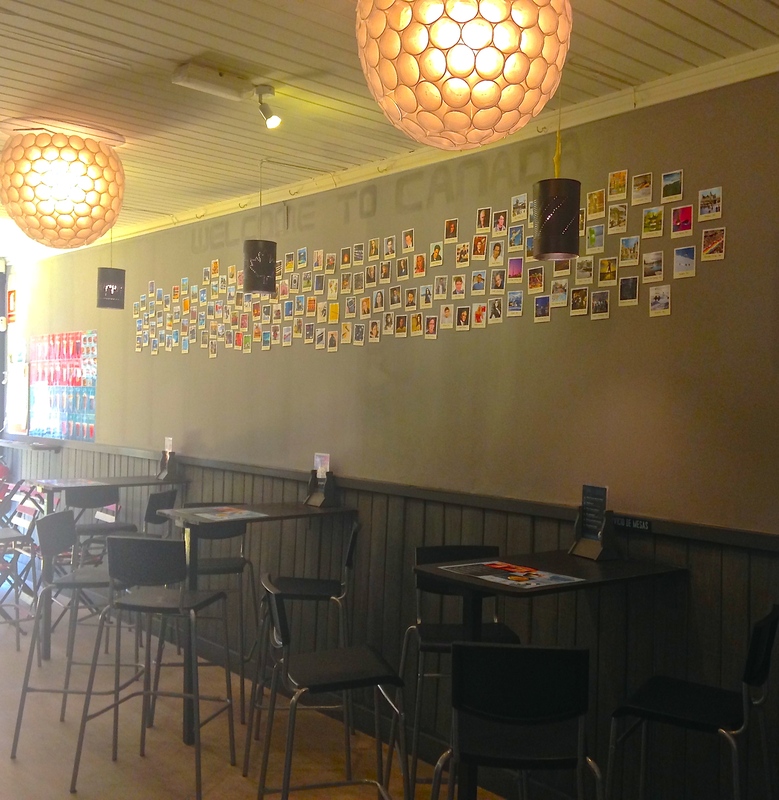 It sounds like a normal coffee/dessert shop in Northern California, but here in Spain, CCC is somewhat of an anomaly. Arthur and Shawn run a slightly different business model than other shops like them (there are only a handful of cupcake shops in Alicante, by the way), and walk a fine line between offering something culturally new while still providing some cultural comforts. “Alicante chose us,” Arthur explains. When he and Shawn decided to create a new adventure for themselves in Spain, they weren’t planning on making it to the south. 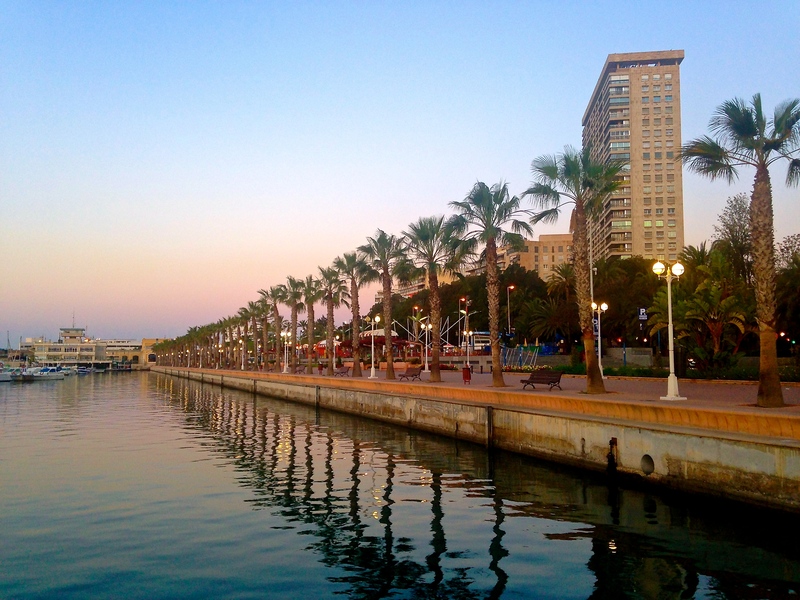 They initially went to Barcelona, but the cost of living there is very expensive, and most people prefer to speak Catalan—a dialect of the region. 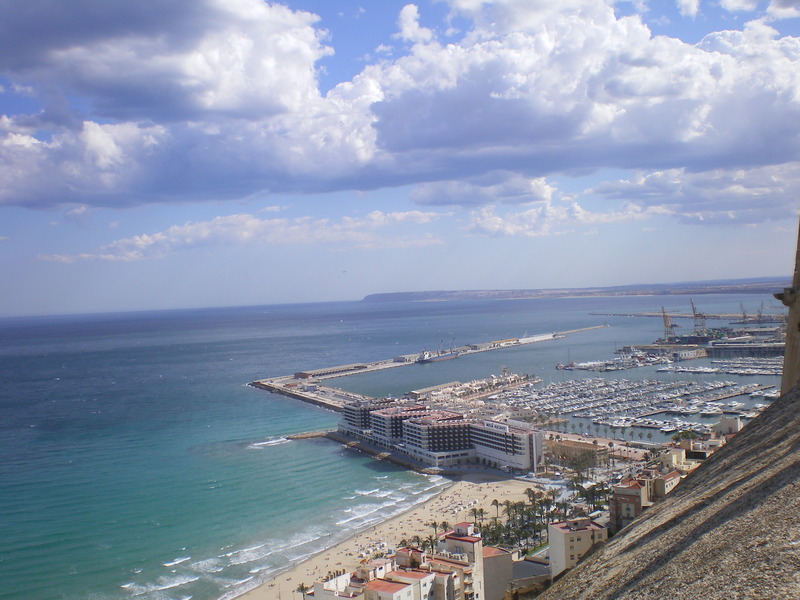 Alicante drew in these Canadians with its good climate, lower cost of living, mix of people, and business potential. At CCC, Arthur and Shawn make everything by hand with high-quality ingredients. They don’t use anything frozen or pre-made. And though this sounds normal to a California girl, it’s not so normal for everyone here. When the guys first began their cupcake endeavors, some people commented that cupcakes are cool, but just a “fashion” or phase in Spain. In other words, they didn’t anticipate the store to be a big hit—especially long-term. But I think Arthur and Shawn will be seeing said people eating humble pie–or maybe humble cupcake. 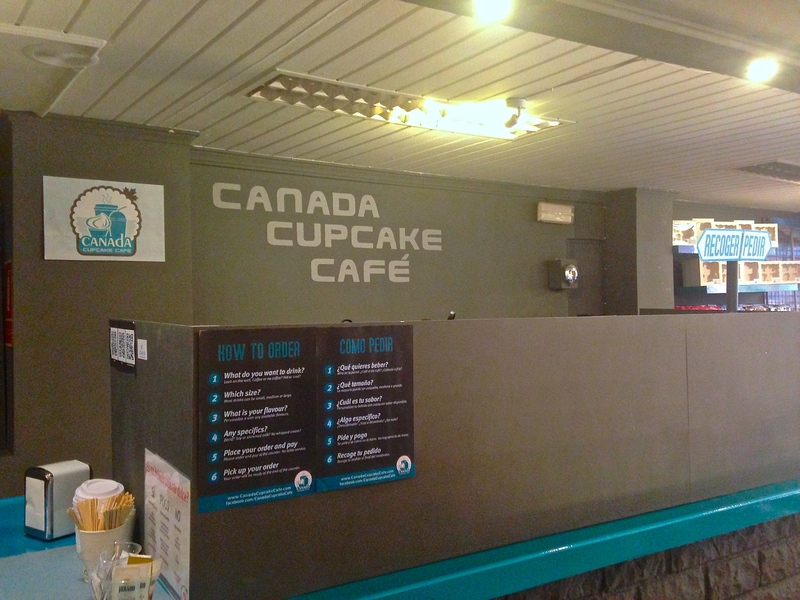 Canadian Cupcake Cafe seems like it will not only remain a part of Alicante, but also will grow and expand in the near future. Arthur shares with me that the goals of CCC are to make North Americans feel like they’re getting a taste of home, while allowing the Spanish to symbolically travel through their taste buds. Even purchasing coffee at CCC is a different experience for most of the Spanish people here. For example, when I order a latte at a cafe I frequent here, it’s always in a porcelain cup—one size. 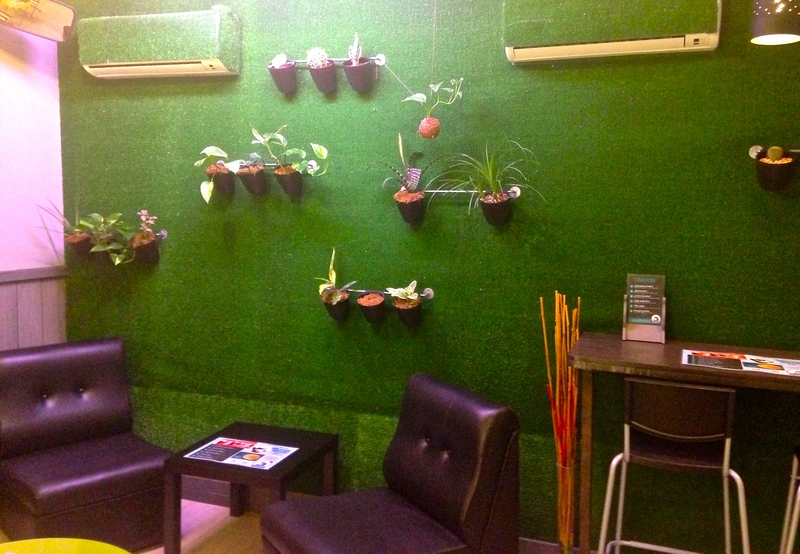 But at CCC, you can choose a small, medium, or large size, AND can even have it customized to your preferences. Kinda like that one really popular coffee shop in North America that starts with a S… Plus, you can take your stuff to go (para llevar). And the cups and utensils are unique as well. Both Arthur and Shawn take decreasing our carbon footprint very seriously. Therefore, they use biodegradable cups and utensils. They even have a sort of recycling center set up. Arthur joked that at times, it has “scared” the Spanish people here to see such a thing in the store. (See image below of the recycling center.) But customers are catching on, and Arthur and Shawn are teaching many people here something good—something that will help the environment and generations to come. Though things seem to be going pretty well, success doesn’t come without hardship. Arthur tells me of the difficulties of all the paperwork involved in starting a business in Spain. Especially for a foreigner to start a business, it can be a struggle. But Canada Cupcake Cafe made it through the hoops and jumps, and now, Arthur and Shawn can focus on things like defining their products (they have recently added bagels to the menu and offer ice cream in the summer), and defining their market. To top things off, both guys are community-oriented. 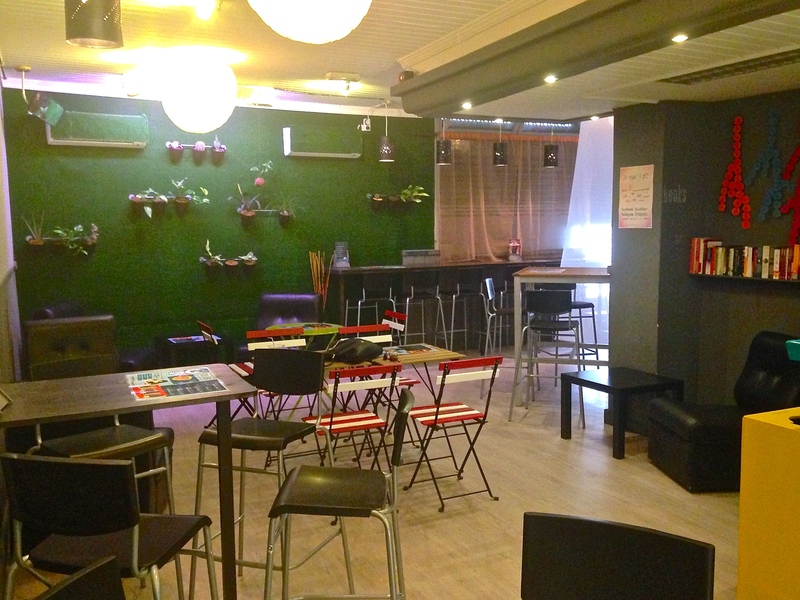 They host intercambio (language exchange) groups at their shop, and aim to create a comfortable and relaxing environment for everyone. Shawn also tells me that they are both passionate about animals, and have been developing treats for pets. They’d like to partner with a local animal shelter in the near future, and donate a portion of pet treats sales to the shelter. 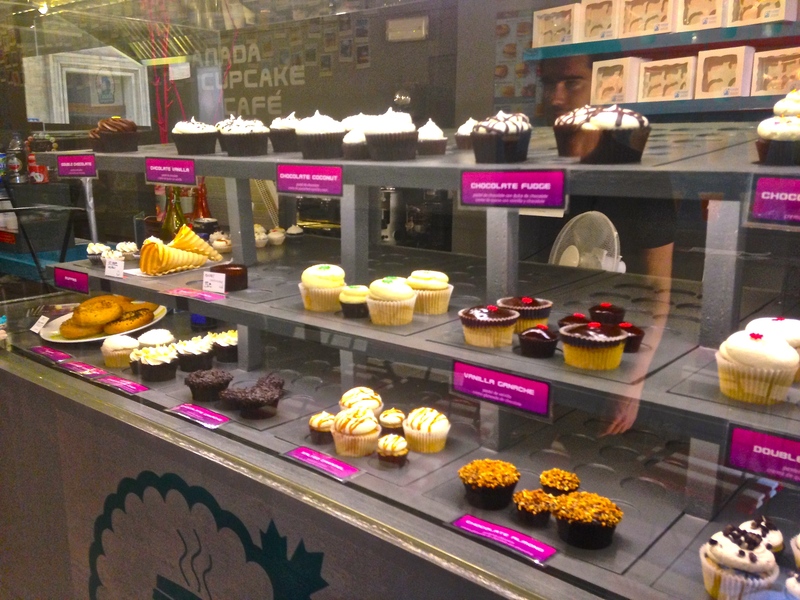 It’s safe to say that I’ll be making a return visit to Canada Cupcake Cafe—and soon. I’m glad I discovered this place and had the pleasure of speaking with its owners. 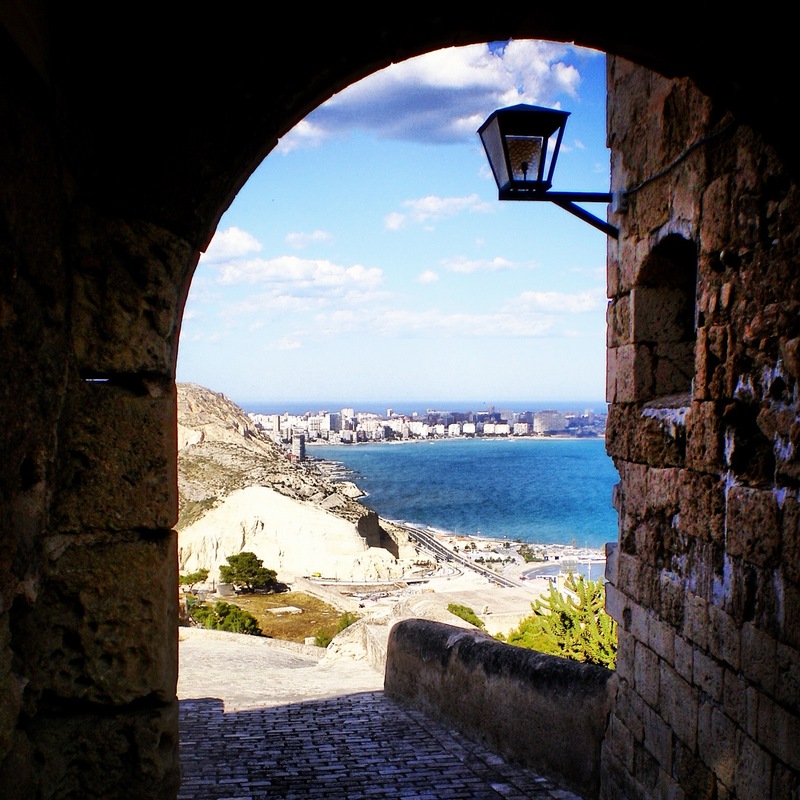 If you find yourself in Alicante, be sure to visit them. 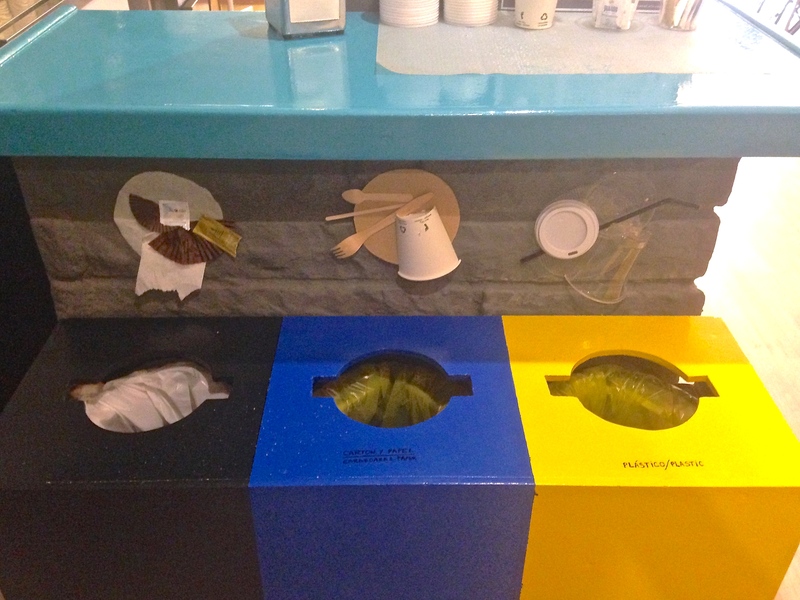 You can eat your cupcake and drink your coffee in the store, or take them to go if you’re headed to the beach. 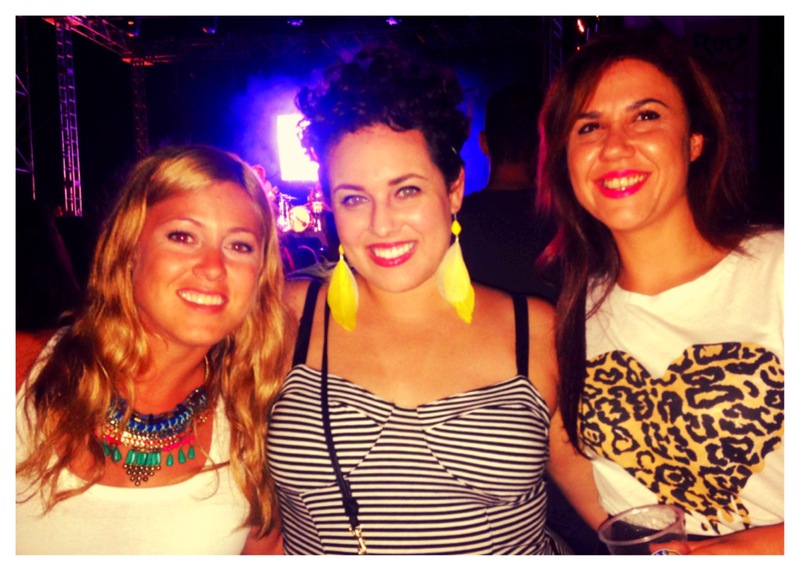 I’ve made some good friends while living abroad this summer. But there’s one in particular who stands out. She happens to be the person I’m renting my room from, though she’s become so much more than just that. She’s a kindred spirit, and understands the trials and triumphs that I face while running my own business. After all, she runs two businesses with her parents, and can relate. Meet my friend, Agostina de Castillo Berladinelli. To me, she is the quintessential young entrepreneur, embracing her penchant to dabble in a little bit of this, and little bit of that. At 28 years old, Agostina is wise beyond her years, and has 6 years of business owner experience. She is originally from Argentina, but her family settled here in Spain 13 years ago. On a busy Thursday afternoon, Agostina and I went for tapas and cañas—typical Spanish food—and sat down for a more organic-type of interview. I was very interested to learn more about her background and her business endeavors. Plus, it was a good opportunity for me to continue to practice my Spanish. But I digress. The first business in which Agostina is involved is called Puroaroma Ambientadores. Puroaroma is a line of products that, in the words of Agostina, “gives clients the complete experience by making sure their place of business and/or home has the perfect scent.” There are “aparatos de ambientador,” or what I deem them: aroma machines. This is the main product, but there are other products as well—like small squares that give off a generous amount of good-smelling waves of the scent of your choosing. Sounds like a great product, right? Right. 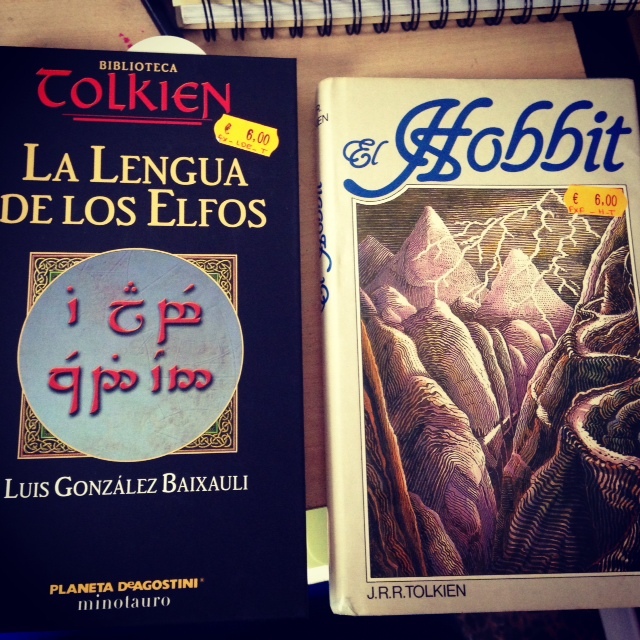 However, it can be hard to sell something like this, especially here in Alicante, Spain. 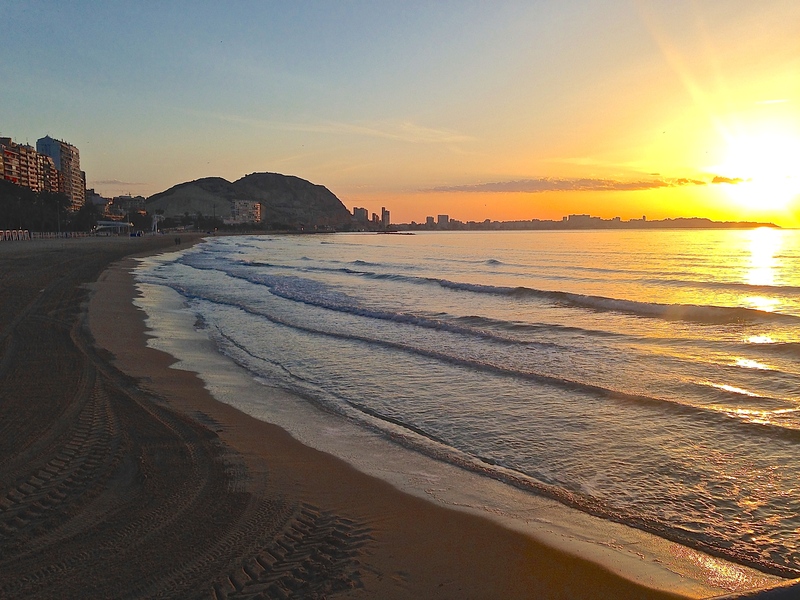 “In Alicante, it can be hard to sell someone on a new idea. People can be close-minded at times,” Agostina explained to me when I asked her about the difficulty of running such a business. And especially since “La Crisis,” people have become more skeptical and cautious—which is how things can be in the US, more so because of the Recession. So, like any good marketer and business owner, Agostina finds ways to get people to buy in to her product. She told me, “I tell prospective clients: You can try the product for two days. If you like it, let’s talk.” She further went on to say that people in general don’t always appreciate a good product, and you must be confident so that people believe in YOU first, and then they’ll believe in the product. She’s done a great job of presenting her product with said confidence, but also uses effective marketing techniques like placing ads in elevators, wearing t-shirts that advertise Puroaroma, and making personal visits to stores to build relationships with clientele. 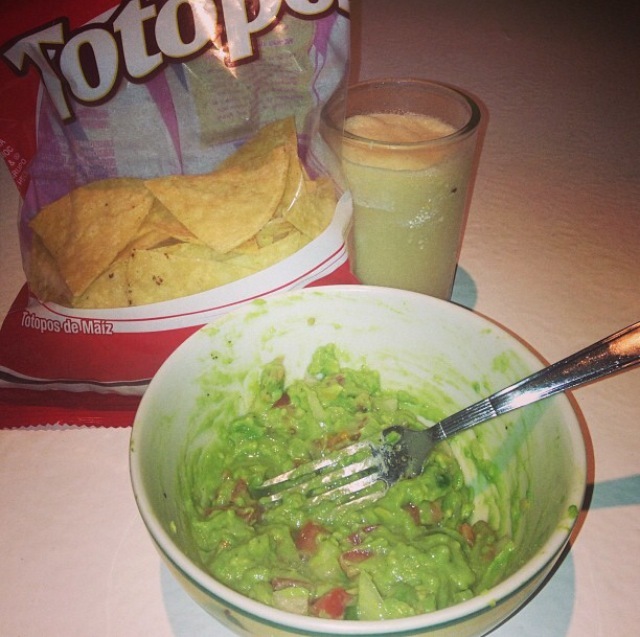 Agostina also runs a business with her mother: Frida & Co. Through Frida & Co., they sell jewelry and accessories. They distribute their products to stores, at house meetings/parties (similar to a Stella & Dot kind of party), and through the Internet. Like myself, Agostina likes to keep her hands in more than one cookie jar, and likes to be innovative and creative. So, just what does the future hold for this bright and very talented young woman? For starters, she has her mind set on business expansion, especially in regards to Puroaroma. She and her business partners have plans to keep expanding sales to other regions in Spain, and would like to sell all the way up to Valencia—and beyond. Agostina also plans to grow Frida & Co. She is currently working on bettering the websites for both companies, continuing to network, and increase her clientele. And you know something? I think she’ll do just fine. 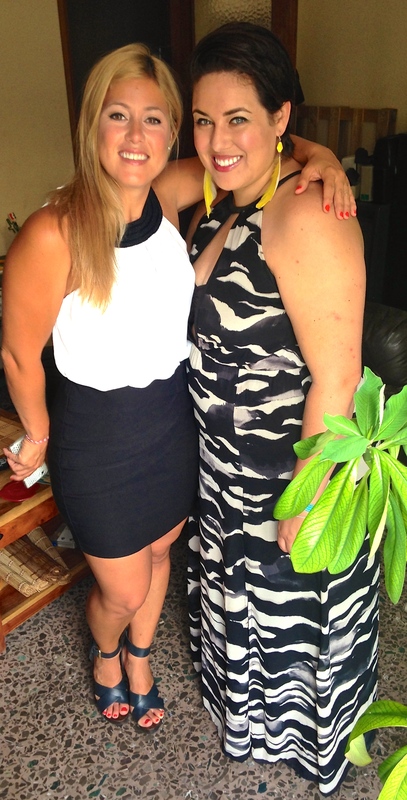 Agostina and me, getting ready to go to lunch.